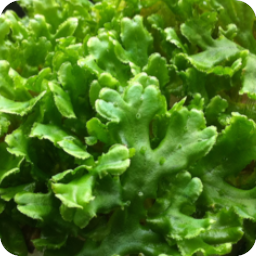 See a description of the Marchantia system. 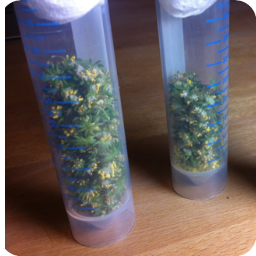 Left: One week old sporeling of Marchantia polymorpha germinated on sterile agar medium. 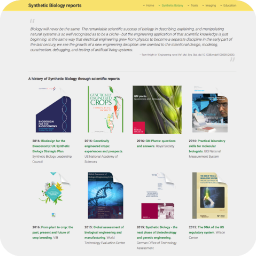 History of Synthetic Biology through published reports. 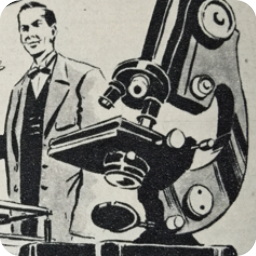 We use a range of biological systems for Synthetic Biology experiments in the lab. 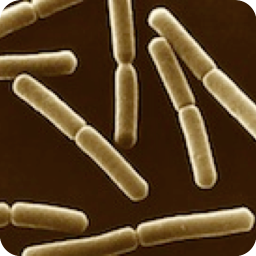 Microbial systems, including Escherichia coli and Bacillus subtilis allow simple and fast assembly of genetic circuits, and testing of methods for cell-cell communication. 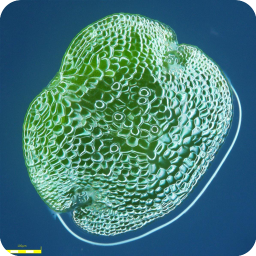 Our main interest is in building systems to manipulate morphogenesis in plants, and we work with multicellular systems including algae and lower plants. 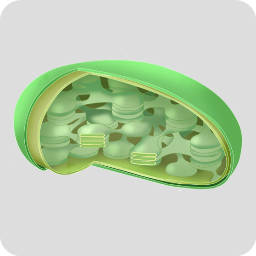 Engineered biological systems are comprised of tightly linked genetic, cellular and biophysical systems. "Life-like" behaviours arise as emergent properties of these interactions. 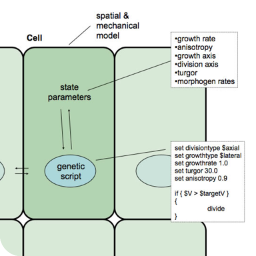 Software models are required to capture the complex dynamics that can arise from simple interactions. 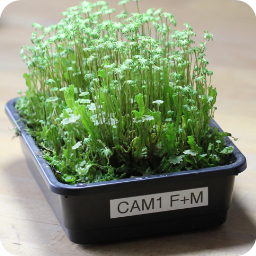 CellModeller is a package that has been developed in Cambridge to model plant growth. 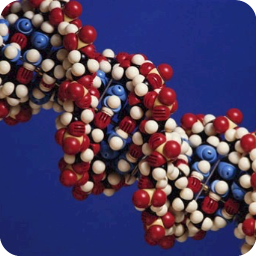 New DNA assembly techniques are allowing ever larger scale Synthetic Biology experiments to be tackled. 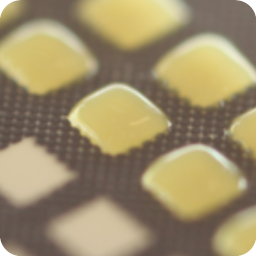 Novel BioBricks and methods for implementation of circuits in plants are described. 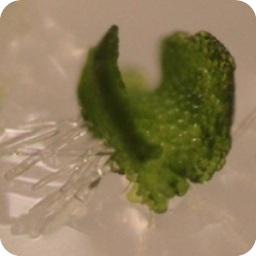 Microscopy and optical probes are routinely used for non-invasive monitoring of engineered biological systems. 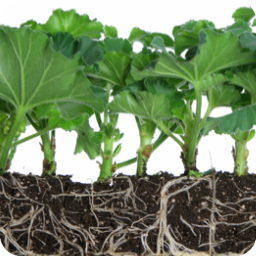 This section of the site describes some of the tools and approaches that we have developed for work in microbes and plants. 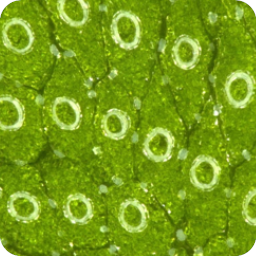 Find information about plant synthetic biology and the international Genetically Engineered Machine (iGEM) competition online, along with Cambridge-based iGEM resources for microbial and plant systems here.